For all you gardeners out there our local garden centre, Bud, reopens this Saturday. Hooray for Spring! Good Gobble! Levenshulme is a foodie destination. 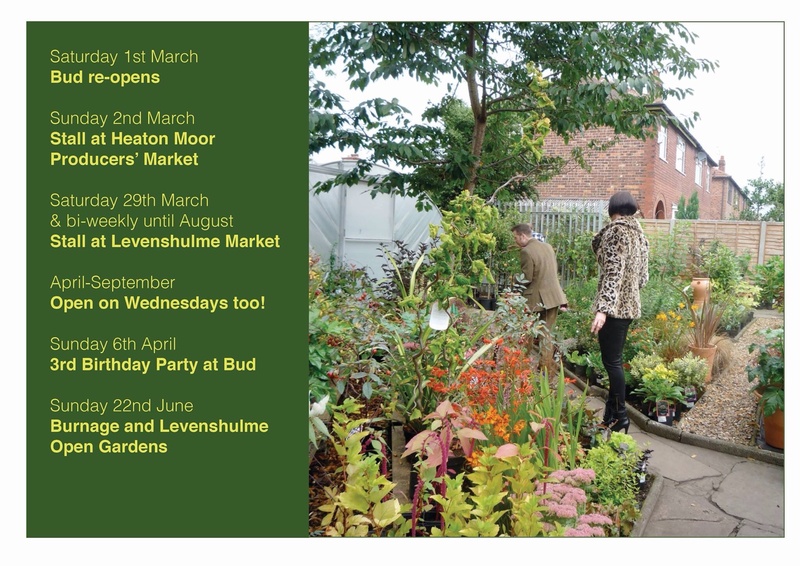 Levenshulme resident and blogger Jules Morris praises Levenshulme for its burgeoning foodie scene and proliferation of supper clubs. You can read about her evening at Trove HERE. 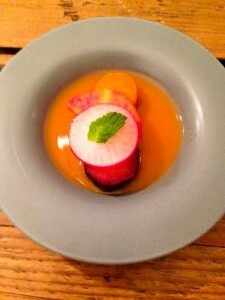 Check out their full blog and foodie adventures HERE. 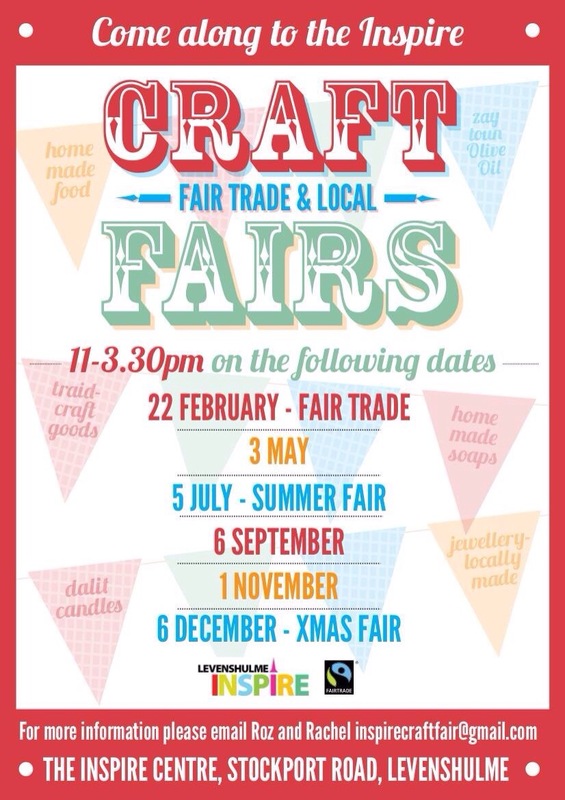 The first of Inspire’s Craft Fairs of 2014 is on Saturday 22nd February, 11.00-15.30. Come along and find some local Levy loveliness. What is this deal about? Backed by all 10 Greater Manchester Councils, it’s about the people of Greater Manchester getting together as a large group to get a great cheap energy deal from the suppliers. Register your interest online HERE. Whalley Range High School for Girls has been recognised as one the the top 100 schools in the country for sustained improvements in exam results. In September 2014 Whalley Range High School for Girls will enter into partnership with Levenshulme High School for Girls as a new Academy Trust. Parrs Wood High School and Chorlton High School were similarly recognised for their achievements in improving the examination success of their pupils. See the full report from Manchester City Council HERE. A large site has been put up for sale around the Atlas Works near Elbow Street and Chapel Street in Levenshulme. This site is part of the land that had previously been subject to a major redevelopment project and is being sold with planning permission. However, this site does not encompass all of the previous development site which may jeopardise the previous plans. The 1.8 acre site is being offered for sale at “around £750,000”. The site advertisement is available HERE. Police are appealing for information after a series of robberies in Levenshulme. Since 10 January 2014 there have been several robberies where the offenders at first engage in casual conversation and ask for the time before stealing mobile phones. In each incident the offenders are described as being of Eastern European appearance. Detective Sergeant Scott Halsall from Didsbury Neighbourhood Policing Team said: “At this stage we are looking at the potential that a number of robberies are linked and have been carried out by the same group of men. We have extra patrols in the area but would ask the public to report anything suspicious to police. Anyone with information should call police on 0161 856 4423 or the independent charity Crimestoppers anonymously on 0800 555 111. Police are also urging residents to make a note of their IMEI number which they will now need to report a phone as stolen. To find this out, key *#06# into the phone’s keypad. The South Levenshulme Post Office is being upgraded to the status of a main post office. The new post office will open on Friday 21st February at 13.00 and will need to close from Thursday 6th February at 17.30 for refurbishment. In the meantime the North Levenshulme and Burnage Post Offices will remain open as usual.